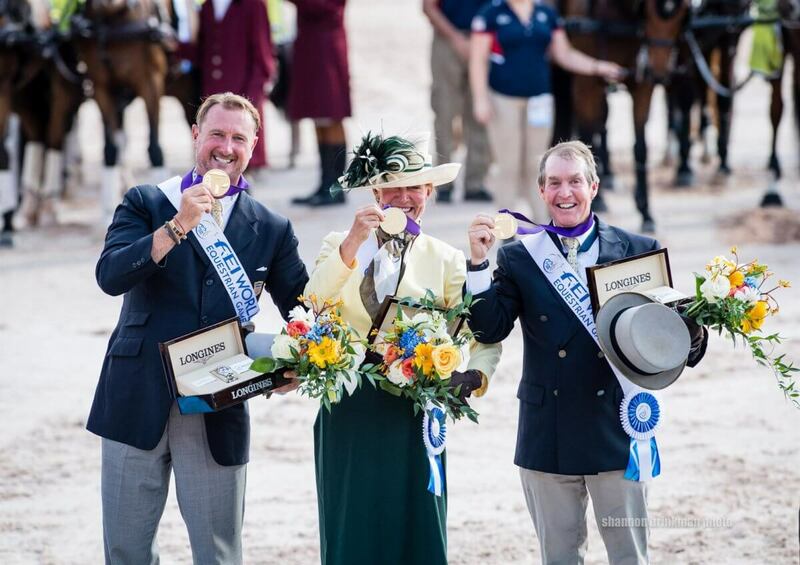 What a heart-stopping end to the World Equestrian Games in Tryon, as our hometown combined driving hero, Chester Weber, helped anchor the team gold for the US team! 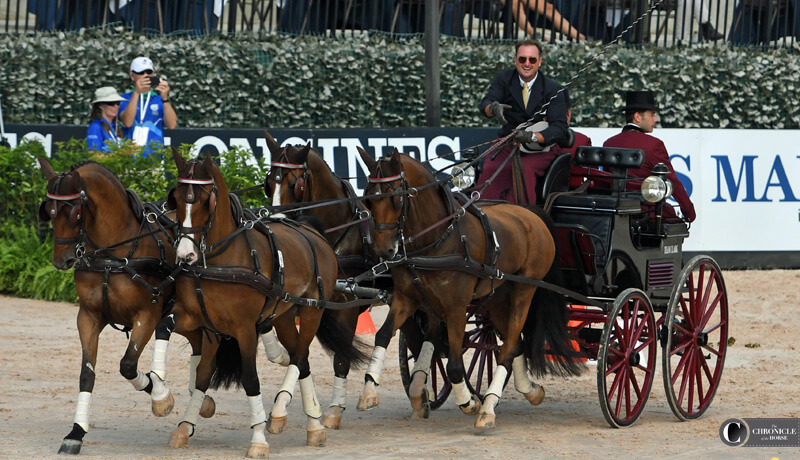 Weber, who is based out of his families’ Live Oak farm in Northwest Ocala, is credited with the winning team performance during the cone phase of combined driving. By leaving all the balls up on the cones and just having a few time faults, Weber’s performance helped clinch the gold medal. But driving is a team competition, and all 3 members of the US Combined Driving team made our state of Florida proud! This is the first time that the USA as a team has ever taken home gold, unseating the combined driving might of the Europeans who usually dominate the WEG. Misdee Wrigley-Miller (Lakewood Ranch, Fl.) and James Fairclough (NJ) both contributed enormously by keeping the US in the hunt for gold after the dressage and XC obstacle phases. All 3 competitors have a long history of training and competing in the Ocala regions. Rounding out the team standings, the Netherlands took the Silver Medal and Belgium claimed the Bronze. Weber also made Marion County proud by winning the Individual Silver Medal, with Australia’s Boyd Exell taking home the Gold and Edouard Simonet of Belgium taking home the Bronze. Driving enthusiasts will have the opportunity to watch this level of international competition this upcoming season at Live Oak International, located at Chester Weber’s 4500-acre property in Ocala. This world-class event being held March 7-10th 2019, will host one of the top combined driving competitions in the US, in tandem with the $100,000 Longines World Cup™ Show Jumping Qualifier. Mark your calendars as Ocala Horse Properties is proud to be involved as a sponsor for one of the best weekends of international competition in all of the United States!